PROFESSIONAL, FRIENDLY, RELIABLE, QUALITY TILING WORK UNDERTAKEN. Having only just joined Checkatrade a short while ago I am building my profile score. Experienced in all aspects of wall and floor tiling. I work hard to ensure I do a quality job and keep you the customer happy, ensuring excellent levels of communication and customer service. 100% positive feedback on other trade websites! Review customer feedback and pictures of all my work. All aspects of domestic and commercial tiling, including bathroom refurbishments and kitchens. All jobs considered, large and small. 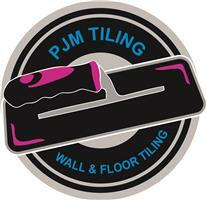 Qualified and experienced in floor and wall tiling. High quality, honest work at a Competitive price. Fully Insured.